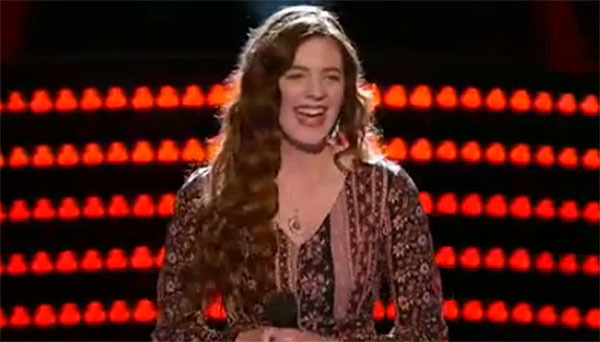 Emily Keener sings ‘Goodbye Yellow Brick Road’ on The Voice Season 10 Blind Auditions on Tuesday, March 1, 2016. Emily Keener gets four chair turn from all four judges. “Your voice is like nothing I’ve ever heard before. I was the first to turn the chair. I am a super fan of yours,” said Blake Shelton. “You really have a voice. Were just drawn magnetically with what you are doing,” said Adam Levine. “That was just breathtaking. This is super fresh approach to singing,” said Pharrell Williams. “Your so special and I would love to dive in with you. Theres os beautiful control true and honest talent. I think you are the voice to speak in new generation,” said Christina Aguilera. 16-year-old Emily Keener joined Team Pharrell. Watch her performance on the video below.